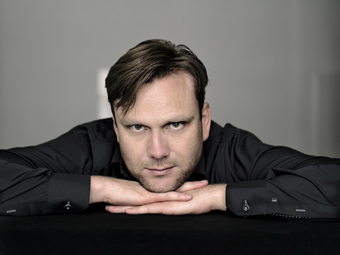 Benno Schachtner, countertenor, is widely regarded as one of the most promising singers in his field. With a special focus on music of the German Baroque period, he is much in demand as a soloist with some of the best ensembles committed to historic performance practice. Artists such as René Jacobs, Hans-Christoph Rademann and Howard Arman enjoy working with him. He has had concert performances in many of the most important cities of Europe and the USA. His many activities include performances at the Innsbruck Festival of Early Music, the Händel Festival in Halle, the Paris Philharmonie, and with the Seattle Symphony. Accompanied by the Canadian Tafelmusik Baroque Orchestra, in 2013 he accepted an invitation to perform at the International Bach Festival in Seoul, Korea, launching his Asian concert activity with an extraordinary program of solo arias. Through recent CD productions with René Jacobs, Stefan Temmingh, Christoph Spering, and the Akademie für Alte Musik Berlin, this exceptional singer has broadened his musical horizons. Recently, Benno Schachtner has chosen to focus particular interest on concert arias and oratorio. Schachtner is the first countertenor in the history of the Leipzig Bach competition to have won two important prizes in the same year. In 2012 he was awarded not only the main prize, but received a further distinction as winner of the ‘Orchestra prize’. In 2010 he had already been chosen as the best shooting star in his field in Nordrhein-Westfalen.Schachtner has a broad academic and practical background as well. In his first course of studies at the Music University in Detmold he studied church music, and completed his Master’s degree under the tutelage of Prof. Gerhard Weinberger in 2009. Following his penchant for Early Music, he continued his studies at the Schola Cantorum Basiliensis in Basel, Switzerland, and completed a further Master’s degree in vocal studies with Prof. Ulrich Messthaler.